It is never pleasant to see a flea on your cat. It is even more worrisome that once you see one or two fleas it is likely an infestation is already in progress. There are hundreds of products on the market designed to help stop, treat and prevent flea infestations. Most pet owners make the mistake of taking only one or two steps in fixing a flea problem and then have the tiny pests pop up at a later date. This information is designed to help you eliminate your cat’s flea problem once and for all. Fleas are very common on house pets, but it’s important to keep in mind that cat fleas are much more than just annoying. They can transmit diseases, tapeworm, and infections. According to Orkin, not only do these problems cause suffering for the pets but many of these diseases can be transferred to humans in the home. To learn more about fleas our friends over at Hillcrest Veterinary Clinic wrote an article about flea prevention and awareness. Initially, the best flea treatment for cats is a nice soapy bath. Soapy water will drown and detach all fleas regardless of their stage in the flea’s life cycle. Medicated shampoo is a very effective solution for removing fleas on cats, but these products typically only last one day or less. They are not intended to have any lasting effects and should not be used too often because this could result in irritation on your cat’s sensitive skin. The typical cat will show their lack of appreciation if you try to bathe them too much! Dawn dish soap has been publicized as a safe, eco-friendly alternative to standard cat flea shampoo. The product is safe for use on animals and offers a highly effective solution for how to get rid of cat fleas. Your cat’s bath should have removed most of the fleas and eggs but be sure to inspect your cat once she dries. You will want to check areas that fleas commonly gravitate towards such as the tail area, behind the ears and under the belly. Eliminating as many fleas as possible from your cat is the ultimate goal of step number one. A flea comb is usually a good tool to use. Cleaning and treating your home is an essential step in eliminating fleas because about 90 percent of the developing flea population is found in the cat’s environment (http://www2.ca.uky.edu/entomology/entfacts/ef602.asp). Without proper treatment, the flea population will only repopulate and return to wreaking havoc for you and your cats! A flea spray comes handy at this time because you can also use it to spray your carpets and your cats bedding. Your cat’s bedding is likely infested with fleas, eggs and larvae, so it is important to either wash, dry-clean or dispose of the bedding to kill the pests. If you skip this step, then fleas will continue to bite your cat despite all other efforts. Vacuuming will eliminate flea eggs, pupae and larvae. You will want to vacuum as much as possible because the process will also cause any pre-adult fleas to hatch earlier. This ensures their population is controlled and infestations are prevented. You need to tie up and dispose of any vacuum bags immediately to prevent any caught fleas from escaping back into your home. Do you need to call an exterminator? xterminators do have access to stronger chemicals, but this option is not necessary because the same results can be achieved as long as you know when retreatment is needed. Virtually all bug experts are in agreement that the best possible way to maintain a flea-free home is to prevent infestations from happening in the first place. Creating a long-term treatment plan is the best way to ensure a flea-free future. The best plans include continued flea treatment for cats and continued upkeep with your cat’s environment. Flea collars are often promoted as a viable flea treatment for cats, but recent research has revealed that brands you find at pet stores or supermarkets are generally not very effective. Additionally, these collars can cause injury and skin irritation for some cats. Certain brands can even be laced with potentially dangerous insecticides and ingredients. If you choose to use a flea collar, then it is better to opt for one available from your cat’s veterinarian. “Spot-ons” are a variety of cat flea treatment in which a liquid is squeezed onto your cat’s skin. This product helps prevent fleas from biting your cat for a specific amount of time. Both the FDA and EPA work together to ensure the safety and effectiveness of these products. 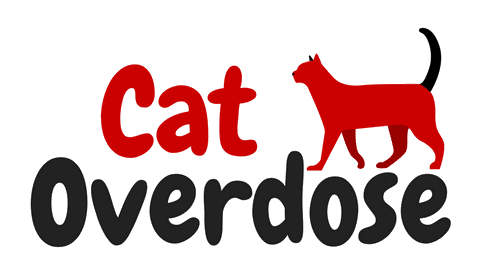 The EPA has explained that this method can be effective in eliminating fleas on cats but the directions need to be followed closely to prevent harm. One long-term option for keeping your cat safe is an edible pill that can break the flea life cycle. This pill releases a chemical into the cat’s blood which is then eaten by female fleas. This chemical renders the female’s eggs ineffective and unable to hatch. These pills won’t kill any adult fleas, but it is a great long-term preventative option. It’s important to continue upkeep on the house because untouched flea larvae can survive protected for months in its cocoon. The fleas are able to essentially slow or completely halt their development until conditions are more ideal. In this way, you could eliminate fleas from your pet and home only to have them reemerge sometime later. Everyone dreads seeing a flea on their beloved cat, and so many of us struggle with how to solve the problem. By following these steps, you can ensure a flea-free future for you and your cats. If you have any questions or tips, then please comment below!